Once again the talented Sharon Stearnes returns to make the Mighty Andy Crow Wurlitzer Organ ring out with some of your favorite tunes! 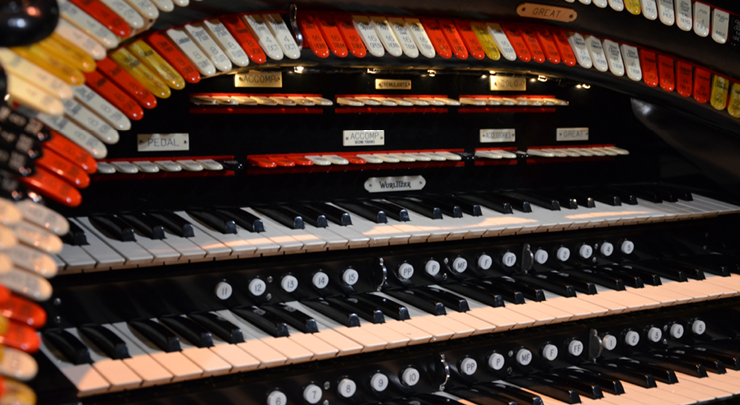 This free organ concert is a great way to spend an evening, and always promises fun for the whole family. From the classics to contemporary favorites, Sharon always brings a unique take to some of your favorite songs. You may even be asked to sing along!